Home » Website Building » Weebly » How to Group Excess Pages in Weebly Navigation? How to Group Excess Pages in Weebly Navigation? How to Group and Ungroup Your Weebly Pages? If your site has more than handful of pages then you have multiple options in Weebly to group, ungroup and hide your pages in the navigation menu. By default additional pages not fitting your site navigation are grouped under the menu “more”, when moving the mouse over “more” the pages will be shown as a drop down list for selection. 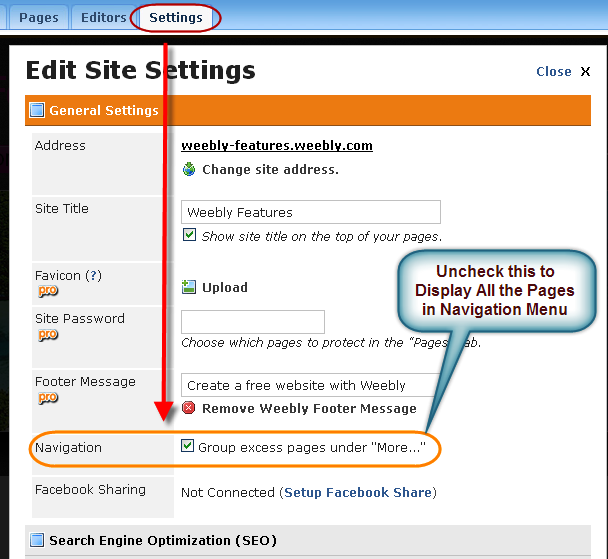 Once you deselect the option “Group excess pages under more” all your pages will be displayed in the navigation pane. Displaying all the pages in the site navigation make your site looks congested. If you interested neither grouping pages under more nor display all as ungrouped then you have two options to adjust your site navigation. The first option to hide the excess pages in navigation by selection the option “Hide page in navigation menu” under “Pages” tab. 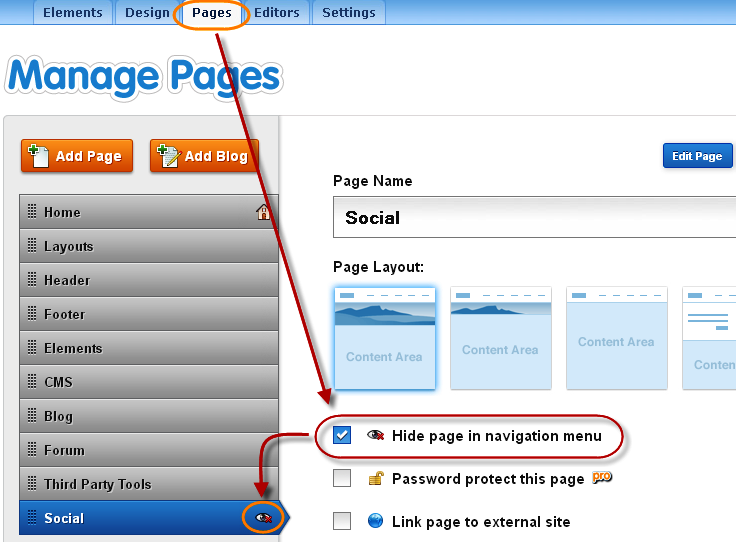 This will only hide your pages in the navigation menu and the search engines as well the users will be able to view your hided pages.